Cover the cost of food, clean bedding, medical care, and treats. Meet Kevin! He was born at a petting zoo. Each year petting zoos bring in a mother pig to give birth to her babies. At the end of the season, the mother and babies are returned to the farmer to be slaughtered for meat. Because of an early injury, Kevin ended up in foster care and avoided this fate. 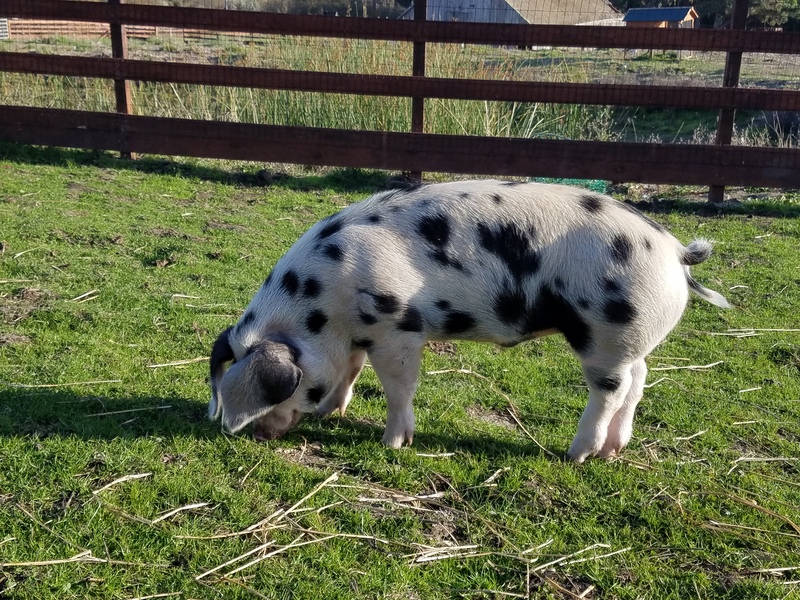 His foster mom contacted Sweet Farm and now Kevin spends his days playing in our pastures and teaching everyone how smart and lovable pigs can be. He's the first to come greet you and we think his floppy ears are just the cutest. The warm and fuzzy feeling that you're making the world a better place for farmed animals! For the love and well-being of animals! This donation is on behalf of Harmless Studio.